Began his career at the Ministry of Finance, mainly at the Treasury. He became Technical Advisor to the Prime Minister in 1995. He joined HSBC France in 1997 in Corporate Finance and becomes Managing Director in 2000. He was appointed co-head of CIBM, mainly responsible for Corporate and Investment Banking, in March 2004. In 2005, he was appointed Senior Corporate Vice-President, and in 2007 Head of Global Banking and Markets for HSBC France. 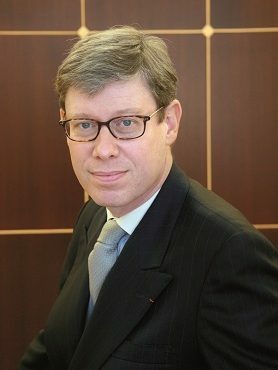 In February 2010, he was appointed Deputy CEO in addition to his role as Head of Global Banking and Markets in France. CEO of HSBC France since January 2012 he retains responsibility for GlobalBanking and Markets in France.